EXCEPTIONAL LOCAL ONE OWNER NEW FORD TRADE WITH A CLEAN CARFAX!! THIS GORGEOUS RACE RED SUPERCREW 4X4 IS WELL EQUIPPED AND READY FOR YOU TO TAKE DELIVERY TODAY!! IT FEATURES THE 3.5L ECOBOOST ENGINE, HEATED SEATS, SYNC W/ MY FORD TOUCH, REAR VIEW CAMERA, REMOTE START, POWER REAR SLIDER, LED BOX LIGHTING, CHROME PACKAGE, 18' CHROME WHEELS, 3.31 ELECTRONIC LOCKING REAR AXLE, TRAILER TOW PACKAGE, FX4 OFF-ROAD PACKAGE... 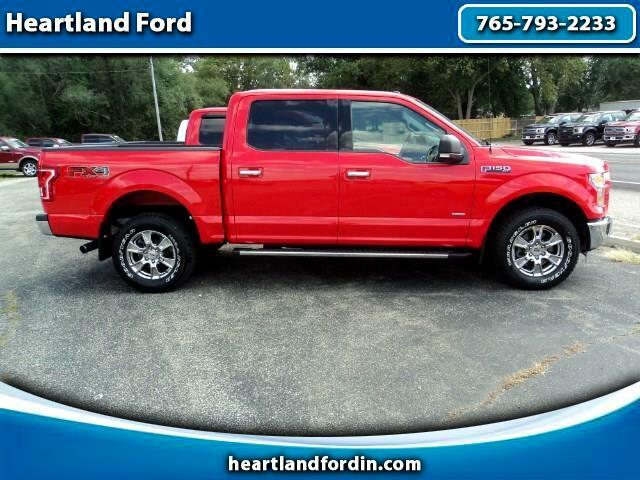 VERY CLEAN AND AFFORDABLE TRUCK THAT COMES WITH THE EXCLUSIVE HEARTLAND FORD LIFETIME POWERTRAIN LIMITED WARRANTY! PLEASE COME IN TODAY AND MAKE THIS F-150 YOUR NEXT TRUCK!